Our Classes are tought by qualified Mohawk Representatives. We Povide an all day class with a comfortable atmosphere. All of are classes are provided with lunch and are completely hands on. We teach a wide variety of individuals ranging from those that are looking for a hobby to those that are professionals working in the industry. All are welcome. Check below for scheduled classes. 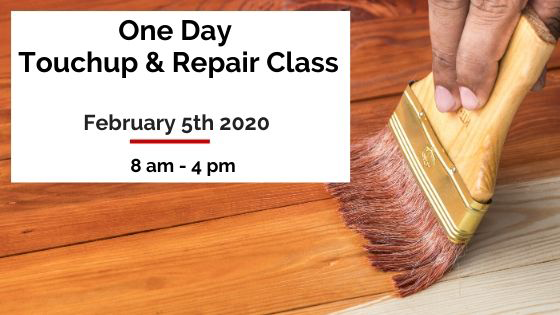 Bonus – Each class attendee will receive there own class related repair or finishing kit. A great value.